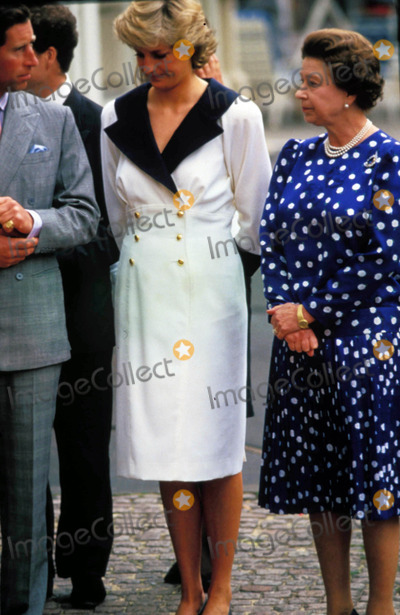 Queen Elizabeth Princess Diana Prince Charles 08-04-1987. . Wallpaper and background images in the Ratu Elizabeth II club tagged: princess diana prince charles queen elizabeth. This Ratu Elizabeth II photo might contain berpakaian seorang, guaman, seluar guaman, pantsuit, orang baik berpakaian sut, penekan seluar, saman perniagaan, and sut perniagaan.